September 25, 2016 (Santa Ysabel)—The Iipay Nation of Santa Ysabel has contracted with a county-licensed medical marijuana dispensary to use the Tribe’s former casino facility to cultivate marijuana for San Diego medical marijuana patients. The tribe announced the deal in an e-mail sent to tribal members on September 20th, adding that subsequent meetings have been held between Tribal government officials (including representatives from the Santa Ysabel Tribal Development Corporation and Santa Ysabel Tribal Cannabis Regulatory Agency) and representatives from the U.S. Attorney’s office, San Diego Sheriff’s office, and a site walk-through with a representative of the District Attorney’s office. 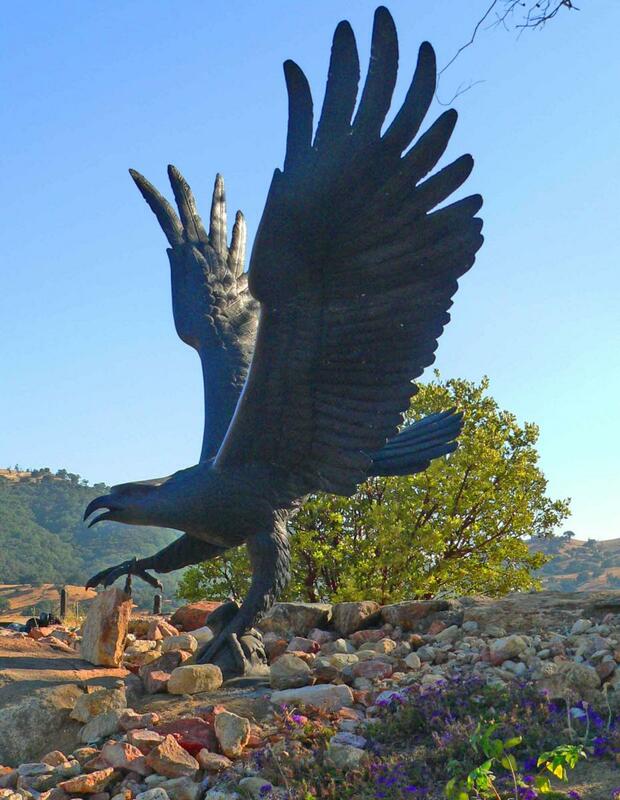 March 13, 2014 (Santa Ysabel)—Iipay tribal member June Sortore has refused a request from tribal chairman Virgil Perez to take down a statue of a hand with the middle finger raised. In a letter delivered to Sortore by tribal law enforcement, Chairman Perez called the hand-made statue ““indecent and offensive,” noting that it can be viewed by children on a school bus. Though the Iipay Tribal Chairman says the middle finger is an “obscene gesture,” Sortore says she erected the statute as a symbol of defiance against former Tribal Chairman Johnny Hernandez. “I built the statue to show him we had not lost nor have we given up hope,” she says. She claims her form of expression is protected as free speech under the U.S. Constitution and further, that the symbol has historical significance. February 8, 2014 (Santa Ysabel) – One day after the Iipay Nation of Santa Ysabel’s tribal council met and voted to shut down its financially troubled casino in Santa Ysabel, employees arrived at work to find the facility closed last week. Patrons found a “closed for business” message on the casino’s website. Now, a tribal business enterprise, Biostar Solar, offers a potentially brighter future. May 15, 2012 (Santa Ysabel) -- The Iipay Nation of Santa Ysabel is accusing San Diego County officials of acting illegally in attempting seizure of the tribe’s governmental funds.